Shopping centers are full of food and retail options, and each establishment likely has its own individual brand. That’s a lot of messaging for consumers to sort through before they determine where to spend their money. Many centers also have strict specifications for signage, and business owners may need guidance to be sure their ideas comply. At Bartush we can work with any business to design a visually compelling sign that fits within your center’s guidelines without blending into the crowd. We’re experts with over 70 years over experience, so you can trust our skills and industry knowledge. Whether you have a great idea and need help with the execution, or you have no clue where to start, we’ll be there to see your project through from start to fruition. 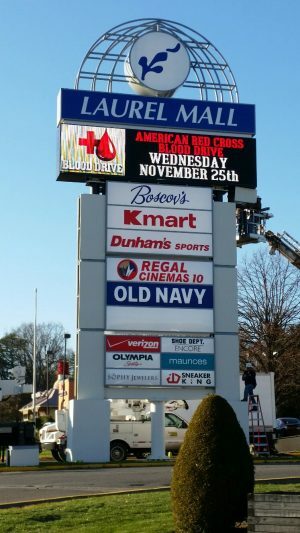 If you’re interested in creating or updating your shopping center signage, contact us today! Feel free to browse the gallery below for a preview of our shopping center portfolio, and start thinking about how you can benefit form our wide variety of other sign options too!